I just love Thanksgiving. It is the one day out of the year that combines some of my favorite things…family, food, cooking, decorations, football and an excuse to eat until I explode! I also like to take time today to think of all of the things in my life that I am truly thankful for and cherish. 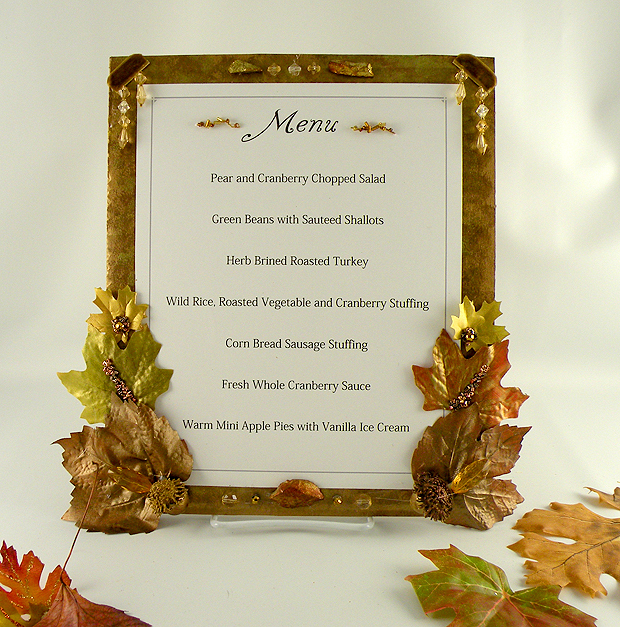 I hope you and your family have a safe and wonderful Thanksgiving! 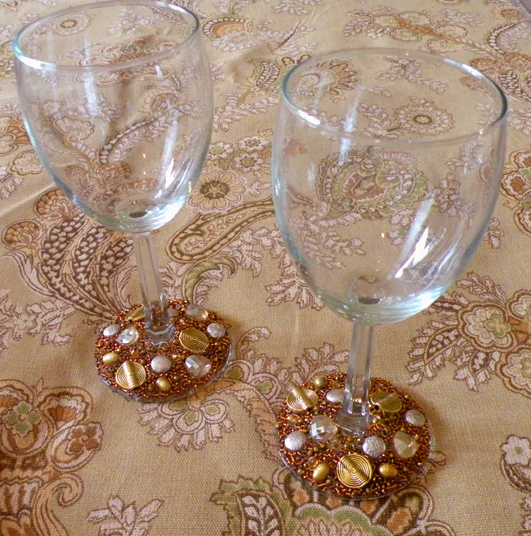 Hand beaded wine glasses for my Thanksgiving feast. My corn display welcoming guests on a side table in my entrance way. 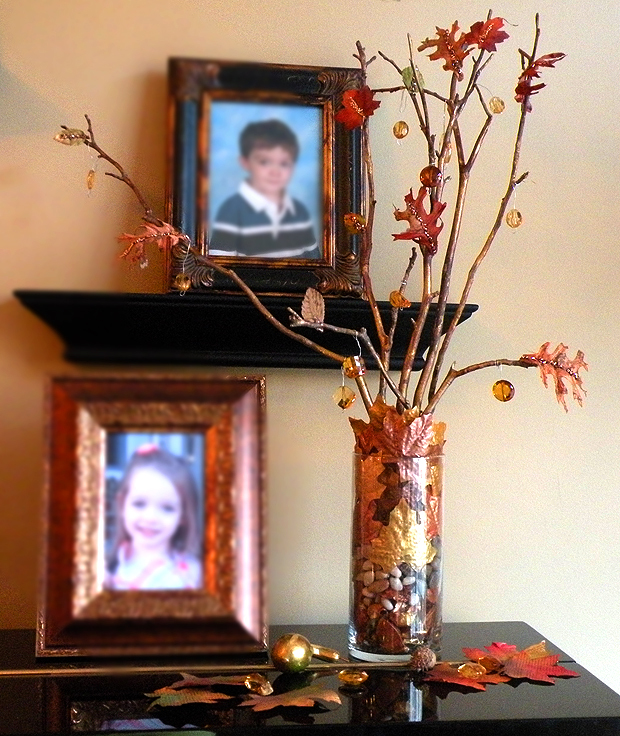 A display of branches and leaves to accent my piano. 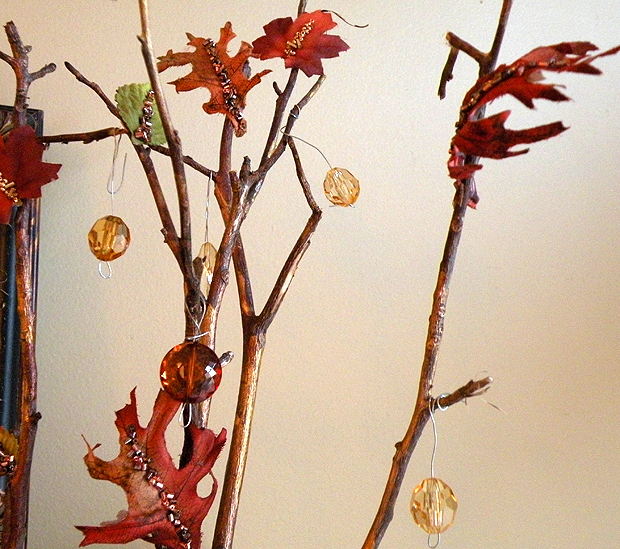 I painted the branches metallic golds and bronze colors, beaded the leaves and attached amber toned jewels with wire to add some sparkle. 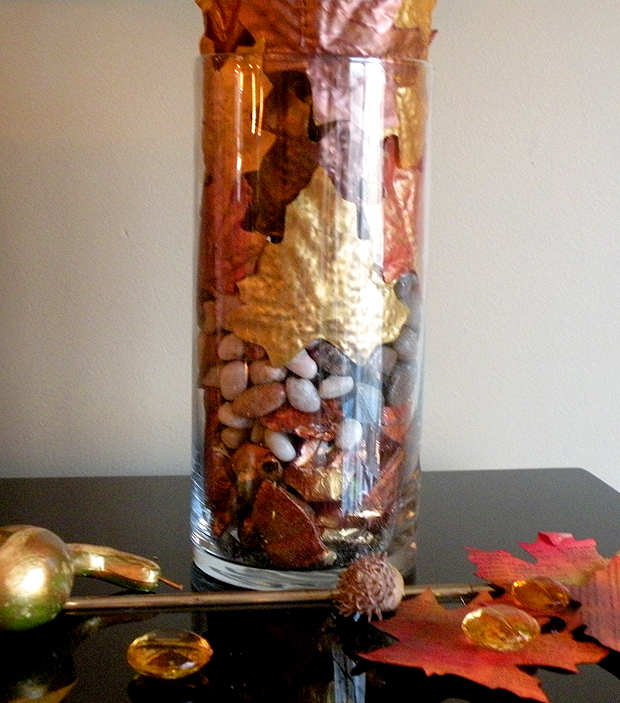 I painted fabric leaves in metallic gold and bronze tones and layered the inside of the vase with painted rocks, river stones and leaves to anchor the branches. 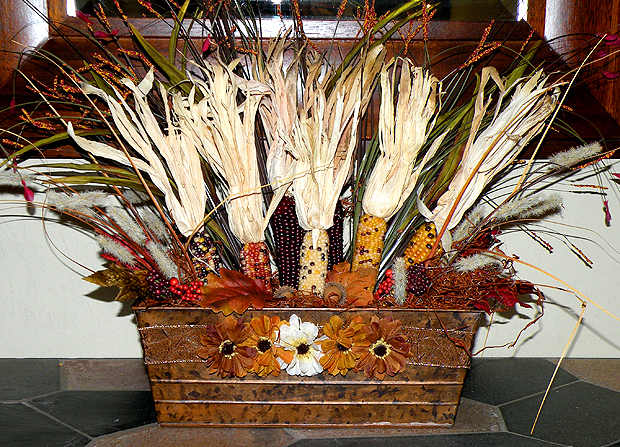 This entry was posted in corn decorations, Crafts, thanksgiving. Bookmark the permalink.